The Action Cam and Chopper 6 HD were on the scene at the Community College of Philadelphia after students were told to shelter in place. SPRING GARDEN (WPVI) -- Officials say no charges have been filed after a lockdown at the Community College of Philadelphia. A teenager was taken into police custody following a lockdown of the Community College of Philadelphia Tuesday morning. 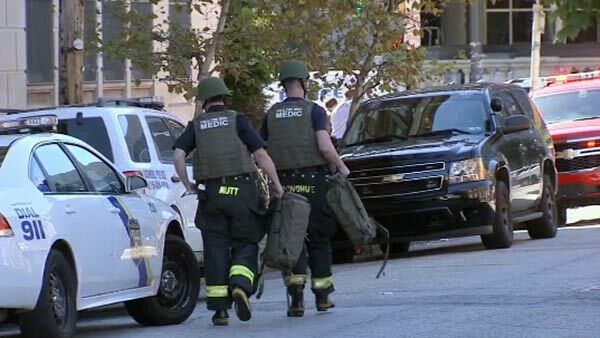 The 17-year-old boy was apprehended inside a classroom at the Center of Business and Industry at 18th and Collowhill streets. He was reportedly unarmed, but police believe he may have ditched a gun when he fled. They are now searching for the weapon. So far, police have not released his identity. It was around 9:30 a.m. when the teen and another male allegedly had a dispute at a courtyard outside the Bonnell Building on the campus in the city's Spring Garden section. Authorities tell Action News that a male reported that he was threatened by the teen with a handgun. The teen then allegedly ran into the nearby Winnet Student Life Building. Police ordered everyone in the Bonnell and Winnet buildings to shelter in place as officers swept the area. The teenager was found about an hour and a half later. 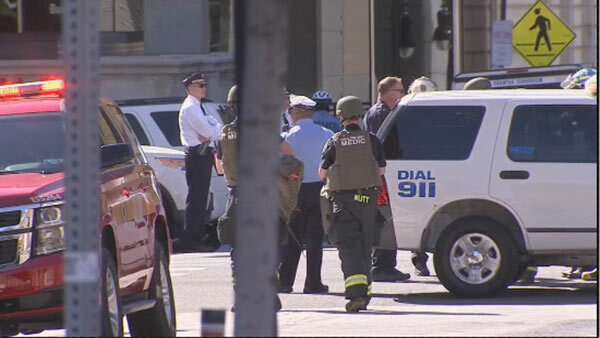 No one was injured in the incident, and the lockdown at the Community College of Philadelphia has been lifted. Philadelphia Police Commissioner Charles Ramsey said the two males have a history. He said they know each other, there was an argument, and one of them allegedly produced a gun. A spokesperson for the community college says a text alert was sent out notifying students of the incident, and ordering those on campus to shelter in place. Masterman High School, located just across the street from the college, was also placed on lockdown as a precaution, and St. Joseph's Prep says they ordered a "lock-in" - not allowing anyone in or out of their school. This comes just one day after an online post threatened an attack at a college or university in the Philadelphia area. However, police say Tuesday's incident was the subject of an isolated dispute and not connected to Monday's threat. And it was last May when the Community College of Philadelphia was last placed on lockdown after a student flashed a weapon during a dispute in a chemistry class.